The township of Wyckoff is a scenic area of Bergen County, New Jersey that was originally settled by the Lenni Lenape Native Americans. Part of Saddle River Township until 1775, Wyckoff did not become its own township until being official named by the residents in 1926. Modern-day Wyckoff is a peaceful suburb that is home to over 16,000 residents. With its convenient location to Manhattan, young and old alike enjoy the picturesque beauty of this Bergen County township! Whether you are preparing for a local Bergen County move, or planning a long-distance relocation, Booth Movers is the most trusted name among Wyckoff moving companies! With a BBB accreditation and ProMover certification through the American Moving & Storage Association, our Wyckoff movers have the experience and expertise to handle all of your relocation needs! Since 1945, our Wyckoff moving company has been proudly serving the Bergen County area and beyond with high-quality moving and storage solutions. Booth Movers is a trusted agent of Atlas Van Lines, giving our Wyckoff movers access to a global resource network of state-of-the-art equipment that is guaranteed to make your relocation a seamless process from start to finish! To find out more about the professional Wyckoff moving services that Booth Movers offers, click on the links below! Residential Moving – Our Wyckoff moving company is equipped to easily handle residential moves of all sizes. 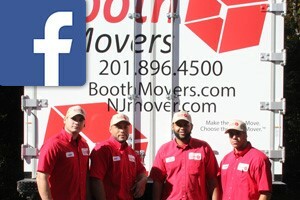 Household Moving – For households big or small, there is no better choice than the experts at Booth Movers! Local Moving – As the premier choice among Bergen County moving companies, nobody knows the Wyckoff area better than Booth Movers! Long-Distance Moving – To make your long-distance move a seamless experience, you can trust our Wyckoff movers to handle all of the details! Interstate Moving – If you are ready to relocate to a new state, our Wyckoff moving company has the equipment and experience you need for a stress-free process! Full-Service Moving – Booth Movers offers specialty moving and storage solutions that can be customized to suit the unique needs of your relocation project. International Moving – International relocations require a lot of planning, but at Booth Movers we will take care of everything for a seamless experience. Are you interested in finding out more information about our Wyckoff moving company? Give us a call today, or fill out our online form to request your free, no-obligation estimate!